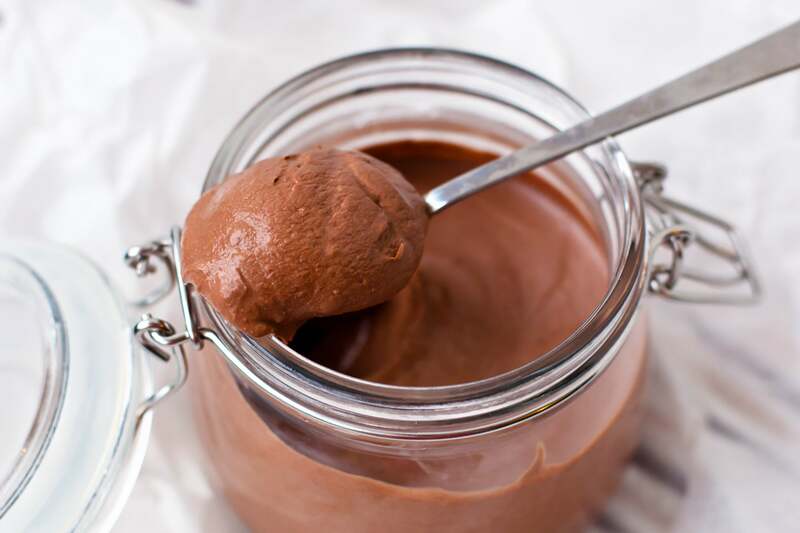 Chocolate mousse is one of our favourite desserts here at Du Chocolat, but it’s not exactly good for you. We’ve taken the sugar out of this classic to make it a little less of a guilty pleasure. This recipe makes two serves, so if you’re catering for a crowd make sure you adjust the recipes to suit! This recipe is by Melanie M.
Mix gelatin with 60ml of hot water. Add Du Chocolat to this mix. Meanwhile, whisk the egg whites in a bowl together with the Natvia until slightly stiff. Gently fold in the in the gelatin chocolate mix to the egg whites. Pour in glasses and set in the fridge for 30-40 minutes.